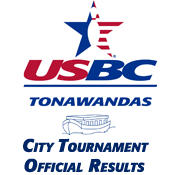 The 8th annual Tonawandas USBC Scratch Eliminator Classic will be hosted by Tonawanda Bowling Center on Sunday, April 28 the with a start time of 11:00am. Sanctioned bowlers from all of New York are eligible to enter. The entry fee is $60. Walk-ins will be accepted based on lane availability. The event is Smart approved for youth participants. USBC members not sanctioned in the Tonawandas association may participate by paying the local association fee ($7) in addition to the tournament entry fee. Cash prizes will be awarded based on 1 out of 5 entries. $1,000 first place guaranteed based on 40 entries. Applications are available at all Tonawanda bowling centers or visit the association website at tonusbc.com. For further information, call Henry Allenbach at (716) 472-7120.